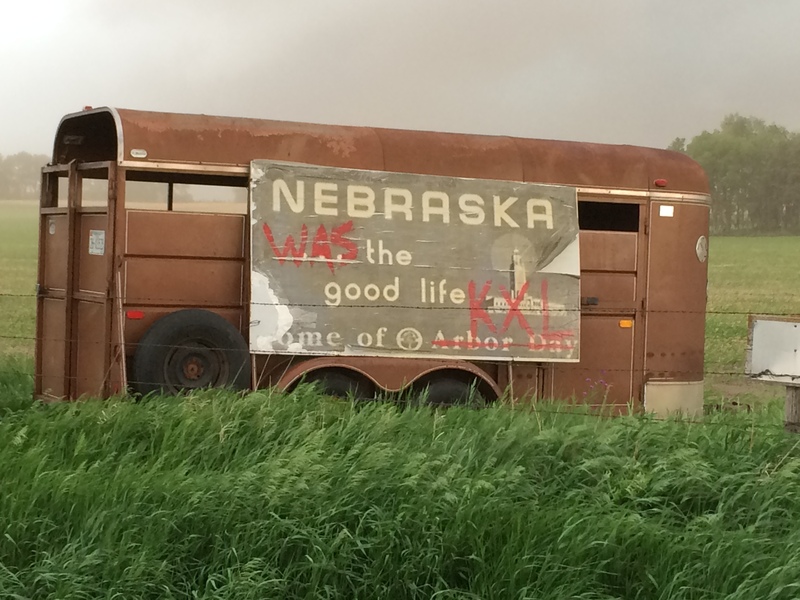 On May 31- June 1 members of the Ponca Nation, along with members of the Cowboy and Indian Alliance, Bold Nebraska, and the Tanderup family gathered on the Tanderup farm in Neligh Nebraska to plant Ponca heritage corn in the path of the proposed Keystone XL pipeline. The Cowboy and Indian Alliance is a collective of farmers, ranchers and tribal communities from along the proposed Keystone XL pipeline. They gained national attention on April 22 2014 when they rode into Washington DC and set up camp near the White House to tell President Obama to reject the pipeline. The rally came a week after the Obama administration announced that it had delayed a decision to approve or reject the Keystone XL pipeline that would carry tar sands oil from Alberta to the Gulf Coast. The State Department is currently waiting for the results of legal challenges to the pipeline’s proposed route through Nebraska. Bold Nebraska is a grassroots organization that is seeking to change the political landscape and restore balance to Nebraska. For the past couple of years, they have been fighting the pipeline as bad environmental as well as economic policy. The idea for all of these parties to team up and plant corn as a political as well as spiritual strategy against the proposed pipeline came to Ponca activist Mekasi Hornek during a ceremony held last spring on the land of farmer Art Tanderup. In 1877, the Ponca tribe was removed from Nebraska and forcibly relocated to Indian Territory in Oklahoma, the path of this Ponca Trail of Tears cutting through the Tanderup’s current land holdings. Mekasi’s great-grandfather was 8 years old when he walked through his land. The Ponca were removed in May, after they had planted their corn and before they had the opportunity to harvest it for seed. 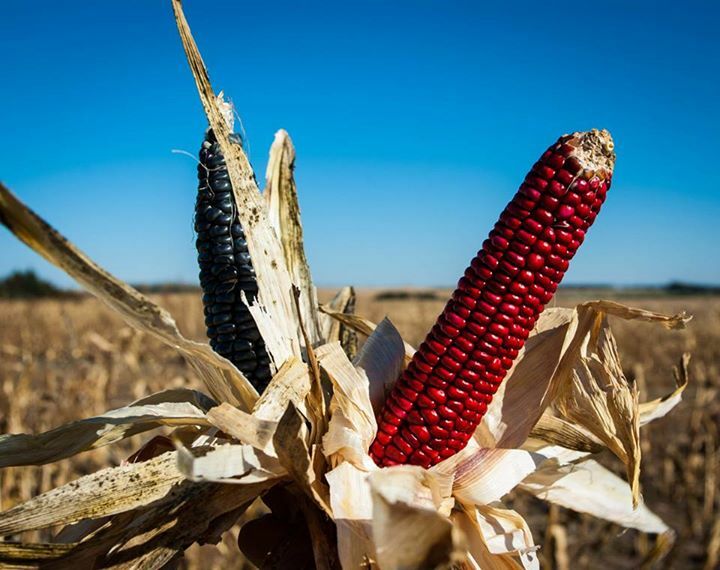 Corn was one of three gifts given to the first Ponca by the Creator, (along with a bow and a dog)– and when the Ponca arrived in Oklahoma they were without this sacred seed to restart their crops and their way of life. Government rations replaced corn and other traditional foods, and now diabetes afflicts many tribal members. 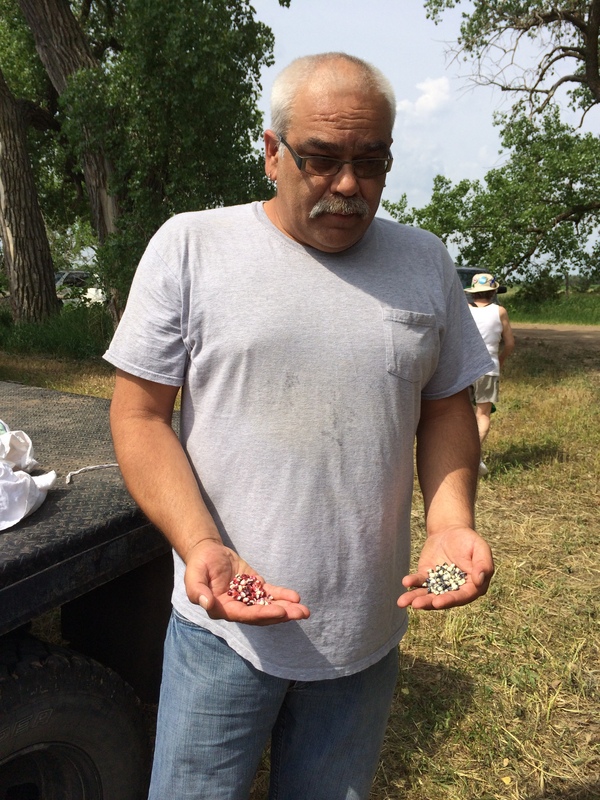 When Amos Hinton became the director of the agricultural program at the Ponca Tribe, one of his goals was to bring back foods that his ancestors ate as a way of combatting these health issues. 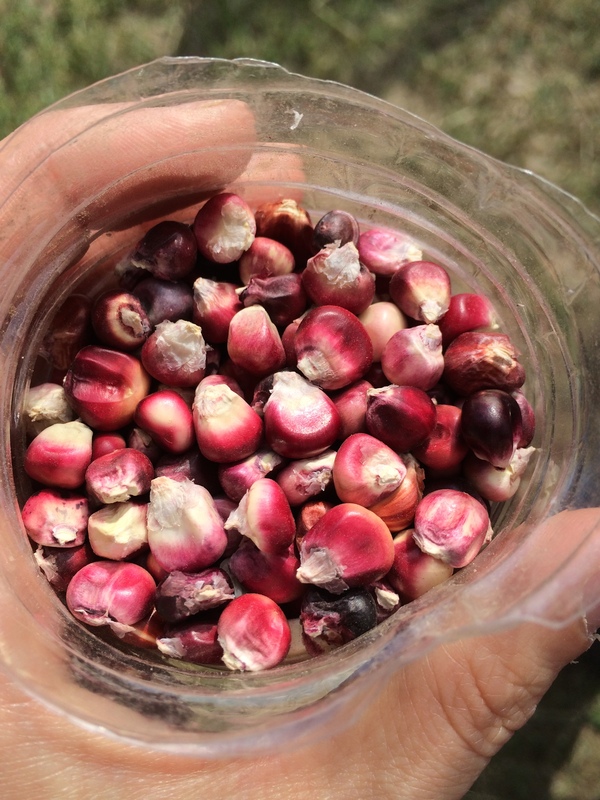 Amos acquired Ponca gray corn from a Pawnee woman who had been working to locate corn varieties original to Oklahoma tribes. Working with officials from the Great Platte River Road Archway, Nebraska corn geneticist Tom Hoegemeyer, a the Nebraska Department of Agriculture, the Nebraska Commission on Indian Affairs, and the Intertribal Agricultural Council, Amos was able to turn a handful of seeds into several hundred pounds, planting a crop near Kearney NE in 2012 that was tended by two interns from the tribe. Another variety of corn was obtained when Amos located Tom Kleffman, a man who had been growing out corn that had been harvested from that Ponca crop that was abandoned during removal in 1877. 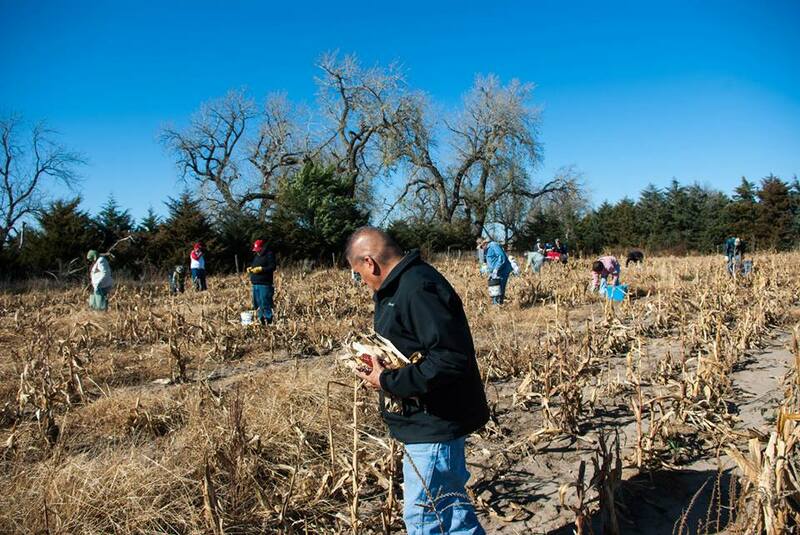 A Lakota family picked that corn, growing it out and saving it each generation, gradually mixing it with other corns. Recently one of these descendants gave some of the family’s corn to Kleffman, who in the process of growing it out was able to isolate some of the genes of the Ponca traditional corn. He returned some of this corn to Amos, who was then able to return it to the Ponca tribe on May 21 2013, exactly 136 years since it had disappeared from their possession. 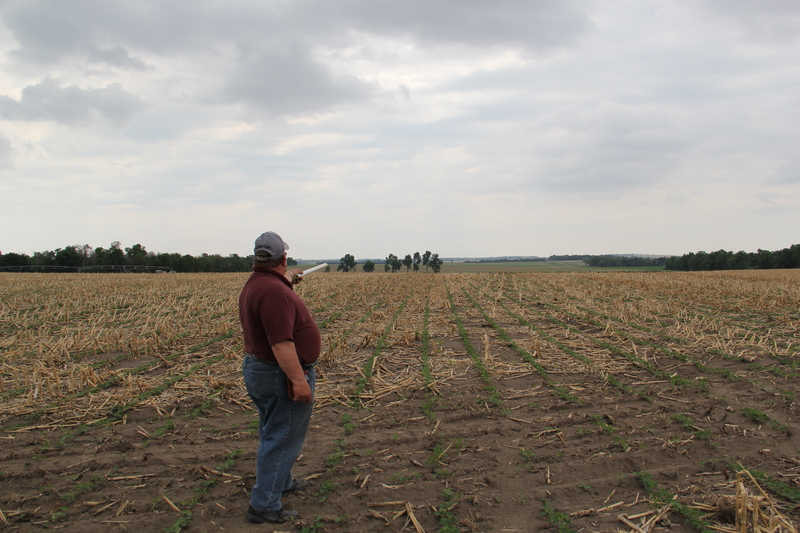 As the members of the Cowboy and Indian Alliance, Bold Nebraska, and the Ponca tribe thought about what to do to stop the pipeline, it was decided that they would plant this sacred Ponca corn on Art Tanderup’s farm, as a way of sanctifying this site and providing an additional layer of protection. 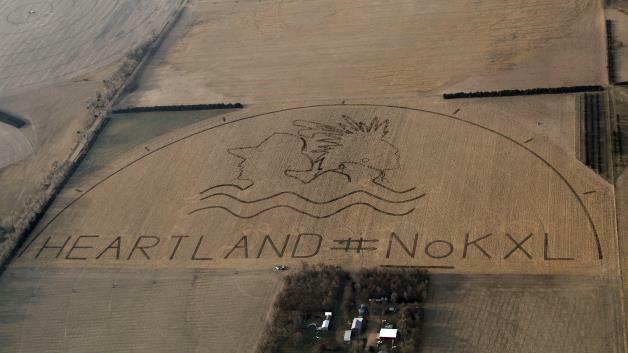 In addition, a giant work of crop art the size of 80 football fields has been constructed in the field adjacent to the corn planting site, featuring the Cowboy and Indian Alliance logo and the words “Heartland # No KXL.” And so on the weekend of May 31-June 1, members of the Ponca and Omaha tribes; local farmers, ranchers, and concerned citizens; and activists and scholars interested in protecting this region from a pipeline (check out the Fueling Dissent project blog, created by a Berkeley student who is hitchhiking along pipeline routes), gathered on the Tanderup farm to plant Ponca corn by hand. 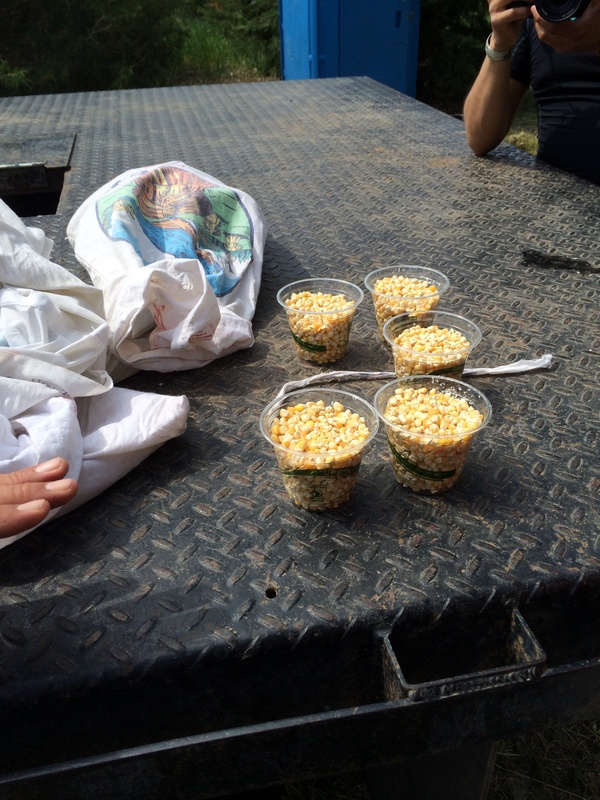 The event opened with a water ceremony and closed with a pipe ceremony, and in the interim people, many of whom described to me that they had never taken part in activism before, stood shoulder to shoulder and tucked corn seeds into the sandy loam. 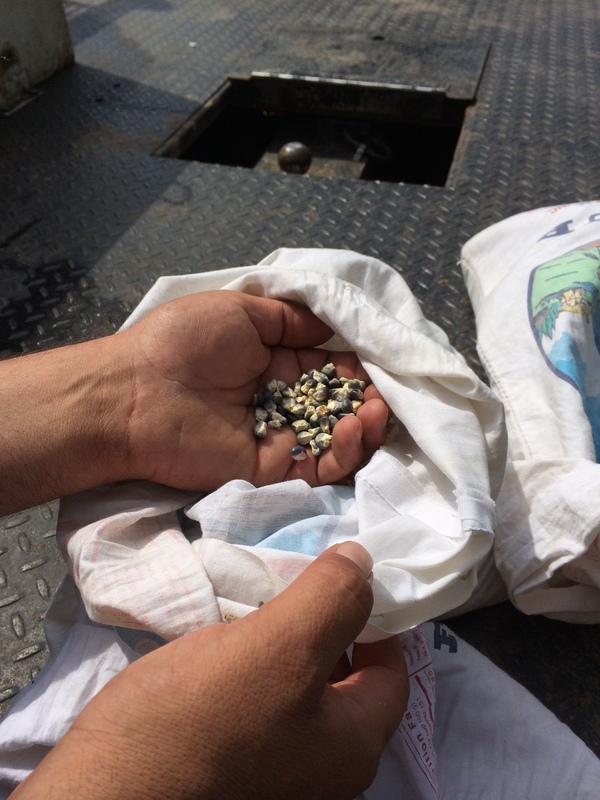 Amos described the very intentional way in which he chose the corn seeds for this planting: the far end of the field was planted in “painted desert” corn because, as he explained “if you look at that corn its all multi-different colors like we are. We’re all united together just like that corn. 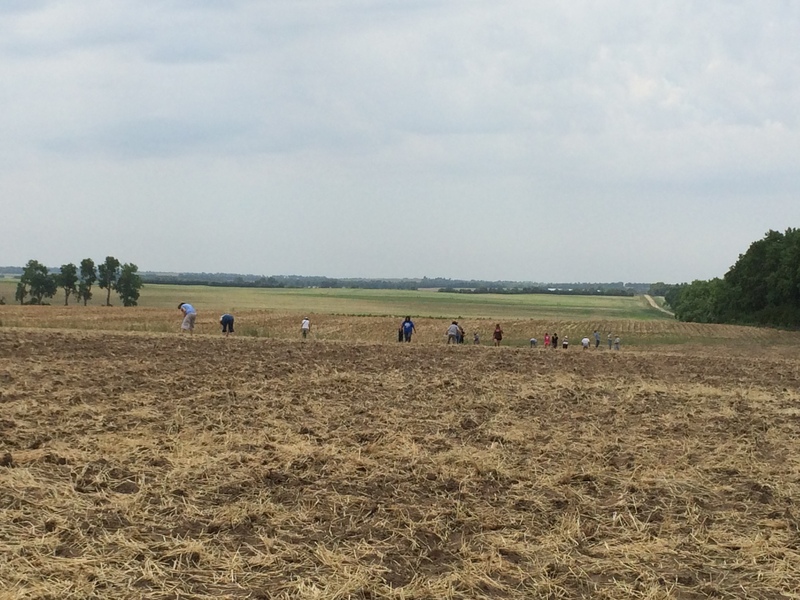 We’re different colors, but we’re all united, we’re the same.” At the other end of the field, volunteers planted Ponca red corn, a white Hopi sweet corn, and Ponca blue corn. Amos described the intentionality of the red, white, and blue theme: “those three colors symbolize independence, they say even though that’s the color of our flag… that corn symbolizes the freedom that we have to make a decision as to who crosses our land and who doesn’t… we’ve made a statement that we’re independent people.” The Ponca will return in the fall to harvest the corn for seed. Good to see Amos again, and with the Ponca Red Speckled flour corn too. Hello! It’s really great to find you and read about your fascinating work on your wonderful blog. I have been in touch with Amos and he suggested I read your blog! I wrote the following, all strung together from bits I’d been reading about on the internet. (I’m based far away, in Wales!) https://kitchencounterculture121.wordpress.com/2014/06/21/ponca-corn-pipeline-protest/ I am really moved by this historical moment in which the food movement and the climate movement are united in an act, an action, that feels really affirmative and visionary– which is why I’m writing about it. My blog is a food blog really — how-to cooking AND politics. I have some more ideas up my sleeve, would love to be in touch with you. Best wishes. Looking forwards to reading lots more later when I get the time.